If you blinked, you might have missed the season that was summer. It’s hard to believe that it’s the first Friday in September, yet here we are. The following is my recommended reading list for the next month. These are books that I have enjoyed and know that you will too. In August, I wrote a blog about lessons that can be gleaned from this amazing biography and there are many. It’s my all time favorite book and I read it at least once a year and I learn something new every time. 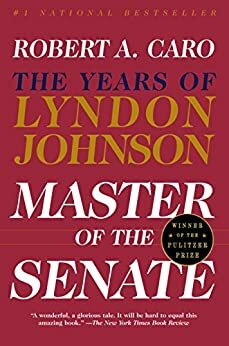 Robert A. Caro documents not just the life of Lyndon Johnson and his masterful use of power, but the times during which he lives as well. There is so much history wrapped in this volume, from the Senate itself, the rise of southern power in that institution and the civil rights movement that confronted that power. Caro weaves a brilliant story of Lyndon Johnson’s mastery of legislative power to enhance his own reputation and to improve the lives of millions of people who had been discriminated against based on the color of their skin. It’s a great book by a great author about a great character. Pick this one up and you won’t put it down. Sometimes the most simple ideas are the most powerful. This book is a shining example that this is the case. 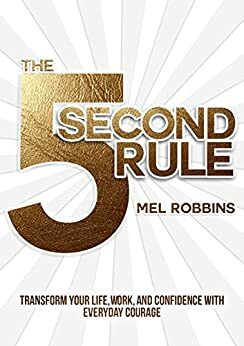 Mel Robbins tells a simple story about a simple formula that can, in fact, change your life. The premise is that when confronted with something that scares us, that makes us uncomfortable or intimidated, that we should count backward from five (5-4-3-2-1) and then do it anyway. Robbins makes the point that by taking action and keeping our brains from slowing us down, we can live the life our dreams. It’s a compelling concept with simple action steps that I am sure can help anyone achieve all they’re capable of. As back to school week wraps up, I can’t help but think of one last lesson that we learn in school but quickly abandon in “real world”; the lost art of note taking. When I was in school, I hated taking notes. To be fair, I hated pretty much everything about school outside of lunch time, but I really hated taking notes. I even had a teacher who graded our notes in one class. Needless to say, I did not do well. What I did not appreciate then that I so totally understand now is that note taking is a skill that can put us back in control and help us better manage our day. I hated it in school, but I can’t live without it today. Here are some hacks that I found that make my note taking most effective. Accept what works and reject what doesn’t. On its face, this seems like just the polite thing to do and if that were the only reason, it would be good enough. When someone sits across from us writing as we speak, its only natural to wonder what they’re writing, asking permission is a courteous way to begin. But wait…there’s more. When we ask permission to take notes, we’re calling attention to the fact that we’re doing it. It’s a subtle way to remind the person we’re speaking with that we value our conversation enough to document it. It’s a powerful technique to let others know we’re listening and that we care. Maybe I’m strange, but when I’m in a meeting, my mind is usually always prompted to solve another problem by the seemingly unrelated conversation. OK, yes, I am definitely strange, but I don’t think this is the reason. The problem is, if I don’t make a note when these thoughts occur, I will probably lose them forever. Instead of suppressing the thought, I make the note and box it off so that I know it’s unrelated to the rest of the notes, but I’ve captured it so that I can act on it. On Monday, I posted a blog about using the momentum of the new school year to refocus and accomplish big things. It was actually an update to an article that I posted last year at the same time. Back to school can be an amazing time to get back into the groove whether you have kids in school or not and there are lessons that our kids can teach us to make this time of year even ore powerful. The first day of school in the Fisher house hit hard because all of those lazy summer mornings spent sleeping in until 7:30 are over. With the bus arriving at 6:45, everyone’s day starts earlier. If, like my kids you’ve used summer as an excuse to start a little later, let’s get back to owing the morning. Most all of the highest achievers on the planet start early. There are only 24 hours in a day, make the most of them! When school starts, kids move from a summer filled with anything goes to days of structured learning. There are exact times for every part of their day from what they learn when to when they eat and when they play. Structure helps them reach the height of their achievement. Structure can do the same for all of us too. Carefully planning how we will spend our days will help us get the most out of it. Just like kids going back to school, structure can help us reach our highest potential. There’s a reason that this time of year is thought of as our second new year. A new school year is a fresh start for kids but it can be for all of us as well. Whether you have kids or not, seeing the yellow buses on the roads marks a change of season and reason to get back to awesome. Here’s how to make the most of it. There’s only a month left in the 3rd quarter. After that, we’re down to our final 12 weeks of the year. Now is as good of a time as any to take inventory of where we stand with our annual goals. How much work is left to do? Gary Vaynerchuk posted a 2-minute video called August making the point that August is the month to double down on business because it’s the month that our competitors are taking time off. Think on that for a minute, if this is a time when our competitors are resting, isn’t this the best time to hit it hard? It’s time to get focused on what we have left to accomplish. If you started your year with an action plan, now is the time to review it. If you’ve worked thus far without a plan, now is the time to make one. If we’ve taken an honest inventory and focused on what needs to be done, spending the time making an actionable plan is the best time we can invest. Two weeks ago, I felt like I had hit a wall. I took an afternoon alone just to review my plan. The kind of clarity that that afternoon gave me is almost unbelievable. It’s a great gift to give to yourself. Taking a long hard look at my goals and my action plan, I realized that in order to reach my 2016 goals, there were things that I needed to get better at doing and skills that I needed to sharpen. If you look at your goals and your plan and see your skills gap, now is the time bridge it. I need to get better at building my list. Maybe you need to sharpen your communication skills. Whatever it is, now’s the time to get back to school. When I find myself drifting and off course its usually because I have let too much white space fill my calendar. There is a time for reflection and thought, but too much of this will lead to just idle Facebook scrolling. Feeling off course to me is a signal that I need to work harder to schedule more meetings. When I don’t feel like it, I start with networking lunches, this usually builds the momentum to schedule other, more important meetings and by eliminating white space, correcting my course. Earlier this summer, I posted a blog about how difficult it is to write when I’m not filling my head with new ideas. 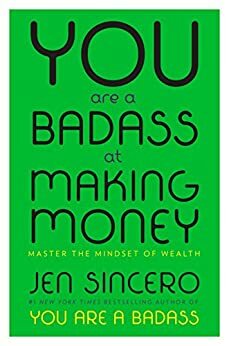 If I’m off course, I’m not writing and its usually because I’m not dedicating enough time to reading and filling my bucket. I love the website flipboard.com and I use it every day to mine the best of the web to keep helpful articles at my fingertips. Books are best but when off track, just reading a good blog post can start the process of correcting my course. Just a few minutes can be enough to get you in the right direction again.